This is a 9” BFD Vixen Plunger with a custom-mixed Strawberry Pearl insert and pearly Dragon Skin. 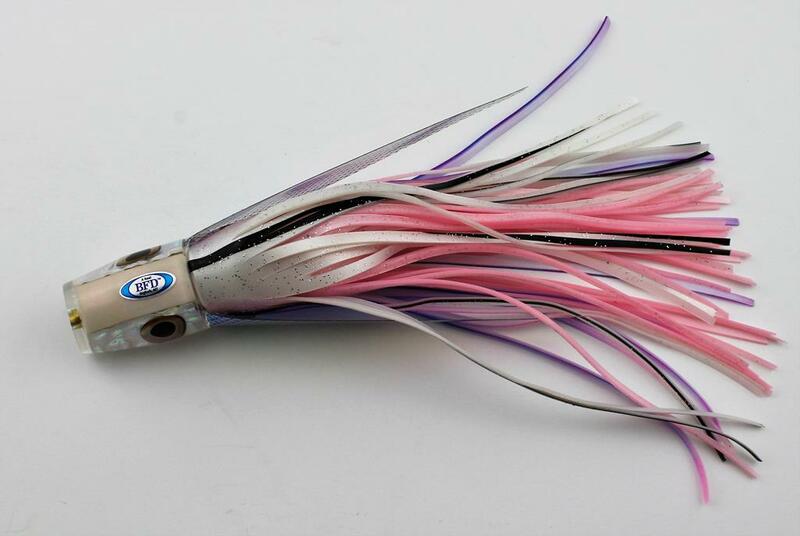 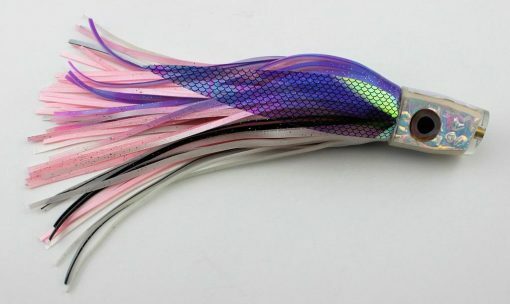 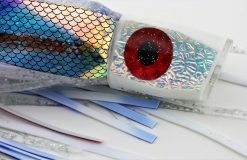 Strawberry Pearl has been a favorite lure color for decades and is hard to reproduce – we went through a lot of test batches to nail this down! 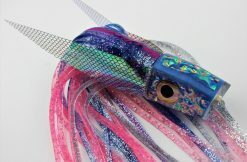 You can see in the photos that this color of Dragon Skin is just awesome with all the texture and color flashes from white to pink to blue. 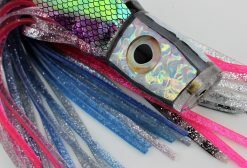 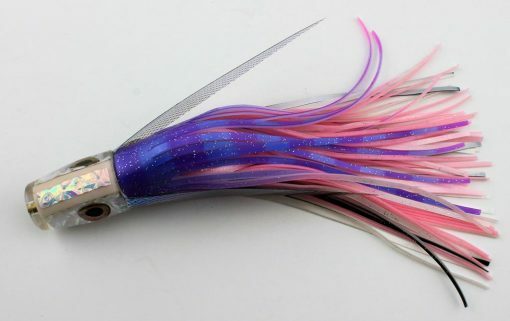 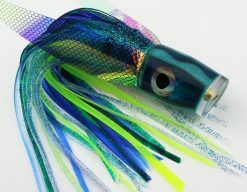 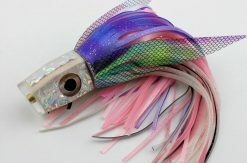 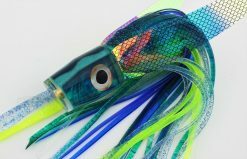 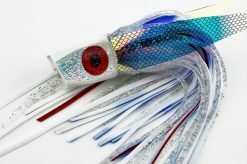 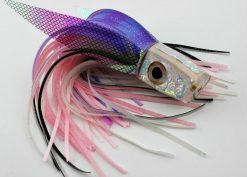 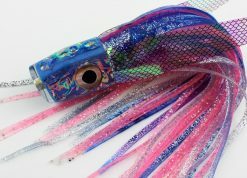 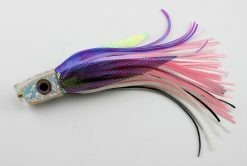 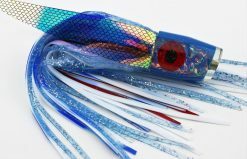 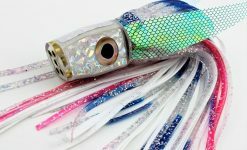 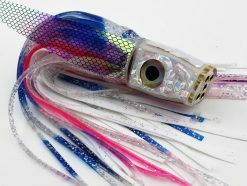 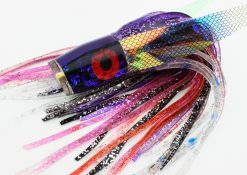 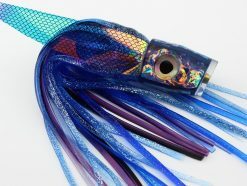 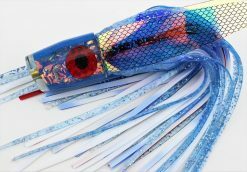 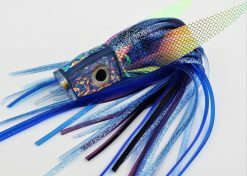 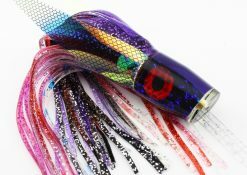 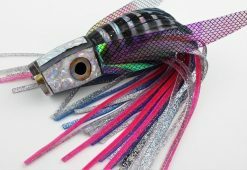 This lure also sports Real-Life Taxidermy Style fish eyes and a classic Gay Bob skirt combo from Yozuri, along with shimmering WINGS!